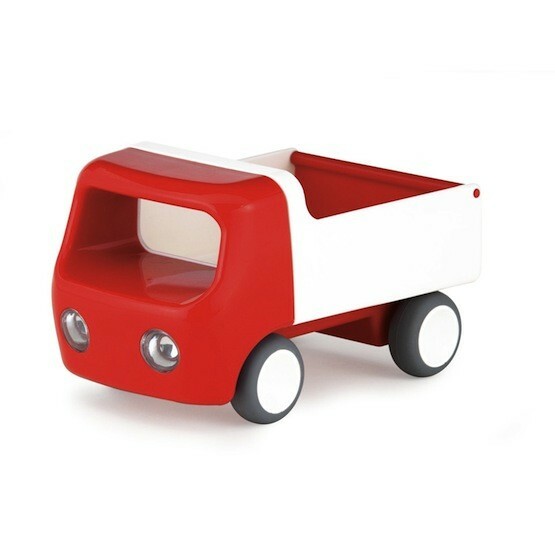 Small hands can transport items with this fun, easy-to-grasp Kid-O Tip Truck. With a working hinged bed and gliding rubber wheels, this interactive truck is great for young drivers. It's made of high quality ABS plastic and has gliding rubber wheels. Three different colors are available: red, green, and blue.